KUALA LUMPUR (Jan 20): Kedah Umno has started a move to oust Datuk Seri Mukhriz Mahathir as menteri besar after declaring a lost in confidence in his leadership, says its deputy chairman. Datuk Ahmad Bashah Md Hanipah said 14 of the state’s division leaders and wing leaders were seeking an intervention from party president and Prime Minister Datuk Seri Najib Razak to remove Mukhriz. "Firstly, Mukhriz has failed to unite the party leadership and machinery at all levels in the state. "Secondly, there has been no strategic party planning to face the 14th general election. "He has failed to lead and move the party machinery after taking over the party leadership in Kedah, as well as failed to administer the state government effectively," he told a press conference in the state capital Alor Star today. 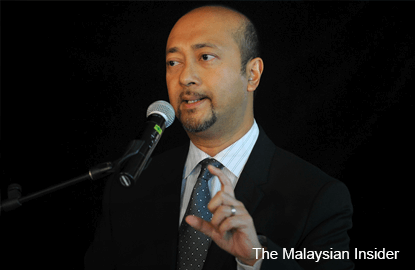 Mukhriz has led the state since the 2013 general election. Among the lawmakers present at the press conference were Kubang Pasu MP Datuk Mohd Johari Bahrom, Padang Terap MP Ghazali Ibrahim, Jerai MP Datuk Seri Jamil Khir Baharom and Baling MP Datuk Seri Abdul Azeez Abdul Rahim. Mukhriz's support for Najib’s leadership has come under scrutiny after his father Tun Dr Mahathir Mohamad publicly campaign to remove the prime minister. At a dinner organised by Kedah Umno during the party general assembly in December last year, Mukhriz had taken a swipe at Najib’s stewardship of the party and country when he called on Umno grassroots members to fight for leadership reform. He told them not to fear reprisal from the top, or they risked seeing their party suffer defeat in the next general election. “We are facing a critical challenge and we must change if we want to remain (relevant) in the next general election. “If we are alone, it is like a dot in a vast ocean. But if we work together, all of us united, we can continue that pressure,” Mukhriz was quoted as saying in news reports. He also appeared to have aligned himself with sacked deputy prime minister Tan Sri Muhyiddin Yassin and former rural development minister Datuk Seri Shafie Apdal. The both of them and Dr Mahathir were present at the dinner.